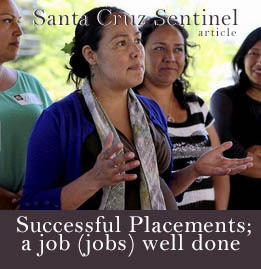 The mission of the Day Worker Center in Santa Cruz County is to facilitate the hiring of day workers, both men and women; and to guarantee them dignified wages and safe working conditions in accordance with U.S. and California law. Additionally, the Center offers a variety of supportive services and training opportunities to its members to enrich their skill sets with the goal of providing quality services to the community. 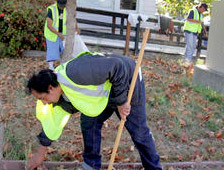 The Day Worker Center of Santa Cruz County is a component of the Community Action Board of Santa Cruz County, a 501(c)3 non-profit organization providing services to promote economic stability since 1965. The Center was established by a diverse group of community stakeholders including day workers, leaders from churches, labor organizations, non-profit organizations, and the community, to provide job-matching services for hundreds of local homeowners and businesses annually. The mission of the Community Action Board of Santa Cruz County is to advocate for, coordinate, and administer community programs to combat poverty and the causes of poverty in Santa Cruz County. Need to Hire A Day Worker? Our screening & quick response makes it easy. Hire Someone Today! The Day Worker Center celebrated its first year anniversary in 2014 and things just keep getting better. Employers are happy with the quality of work. And see the Sentinel's article from a year ago. © Copyright The Day Worker Center of Santa Cruz County a program of the Community Action Board of Santa Cruz County (CAB) All Rights Reserved. Hire A Worker – Call 475-WORK | Powered by Mantra & WordPress.